Pair of fat and skinny Mitsuboshi Competition III tyres. 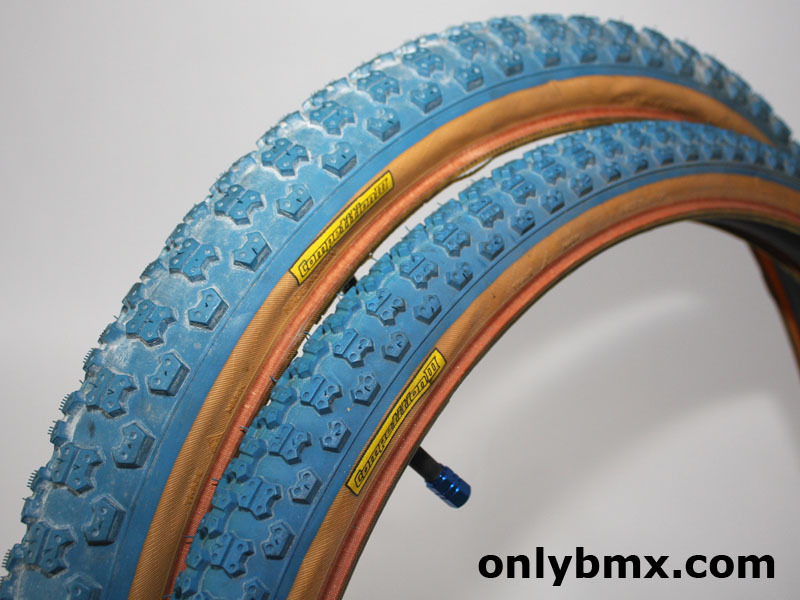 These are 24″ for cruiser size BMXs. The original yellow label style. In remarkable condition considering their age. Very little if any discolouring. I’d say there is none, however, I’m concerned someone might be more fussy than me. Very little, if any, drying of the skin walls. 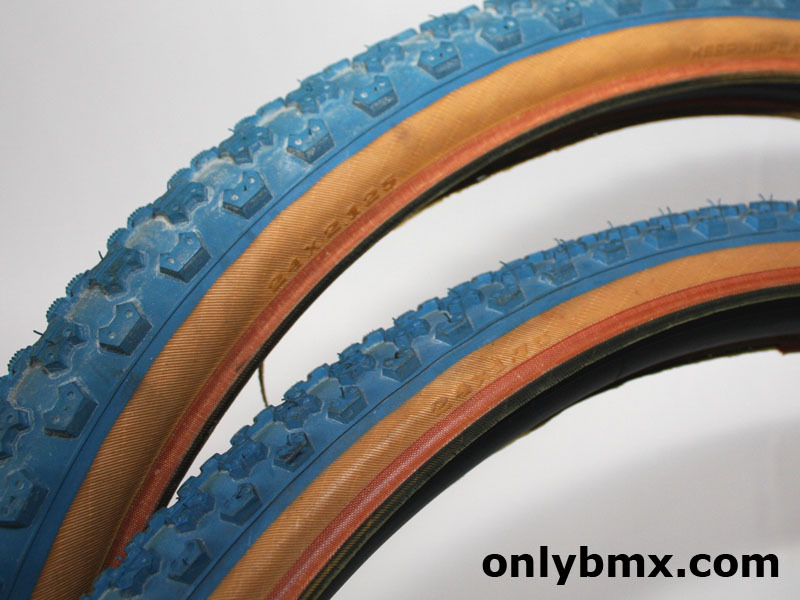 This is a fat and skinny combination of Comp 3 tyres so one is a 24 x 1.75 and the other is a 24 x 2.125 size. 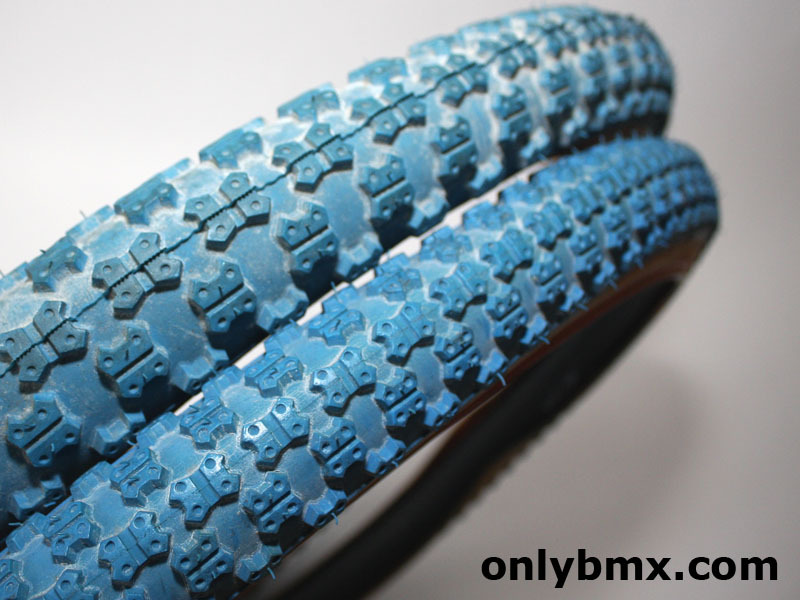 Comes with 24″ tubes which have been used to store the tyres so they don’t get out of shape. Will be shipped flat, unless instructed by the buyer and at their risk. 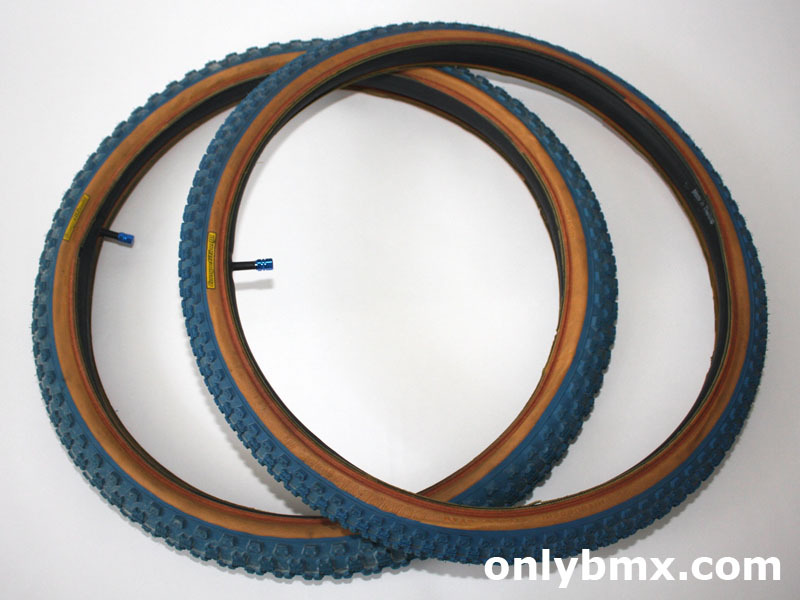 Perfect for this 24″ BMX wheel set.